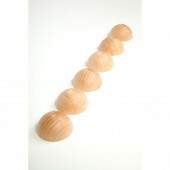 Wooden beads and balls	There are 9 products. 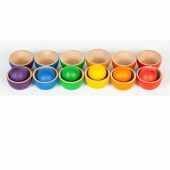 It contains:12 discs in 6 colors,12 half spheres in 6 colors,6 spheres in 6 colors. 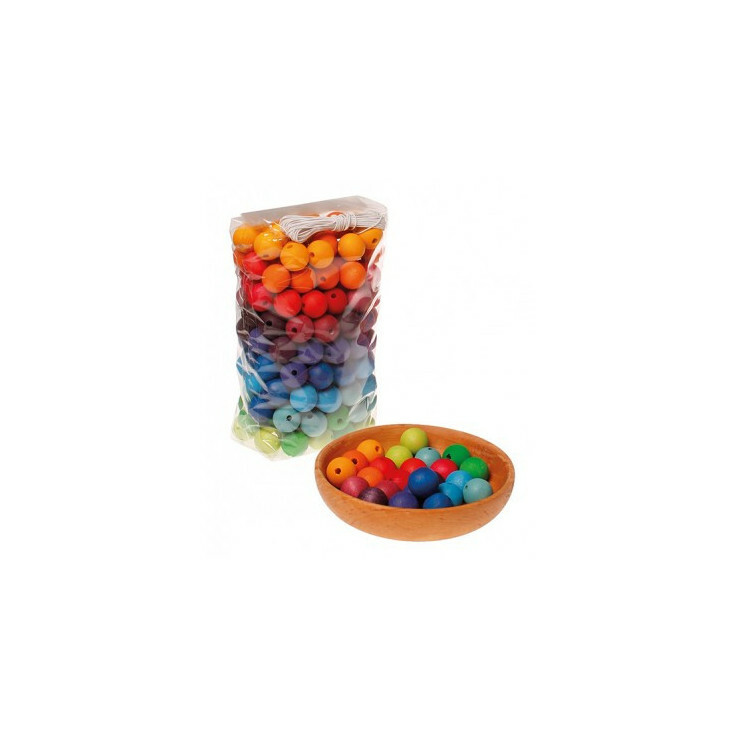 Material that approaches the idea of the round in various formats and colors. 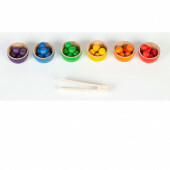 It contains 36 wooden marbles in the colors of the rainbow. Recommended age +36 months. 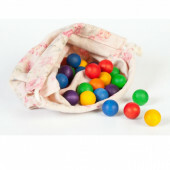 Includes a cloth bag.